In a decision released on Thursday, a DC district court denied Guantanamo detainee Khairullah Said Wali Khairkhwa’s petition for a writ of habeas corpus. 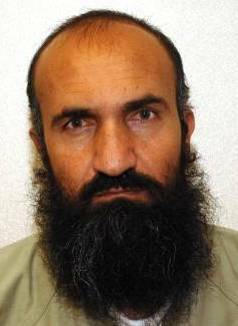 Khairkhwa argued that he had disassociated himself from the Taliban by the time of his capture. But District Judge Ricardo Urbina, who issued the opinion in late May, concluded otherwise. Kharikhwa “was, without question, a senior member of the Taliban both before and after the US-led invasion of Afghanistan in October 2001,” Judge Urbina found. Khairkhwa “served as a Taliban spokesperson, the Taliban’s Acting Interior Minister, the Taliban Governor of Kabul and a member of the Taliban’s highest governing body, the Supreme Shura.” Khairkhwa was also appointed the governor of the Herat province. Khairkhwa claimed that his Taliban position was purely civilian in nature, and that he had no military responsibilities. The record showed, however, that Khairkwa was deeply involved in the Taliban’s war planning. Khairkhwa’s meetings with Iran, in particular, garnered the court’s attention. Iran’s proposed coalition between the Northern Alliance and the Taliban did not come to fruition. But Iran did begin arming the Taliban, as promised at the October 2001 meeting Khairkhwa attended. Iran also opened its borders to Arabs (including al Qaeda members) traveling to Afghanistan for jihad. In reality, leaked JTF-GTMO files and other evidence reveal that Iranian soil was frequently used by al Qaeda for safe transit long before the Sept. 11 attacks. Khairkhwa was, in some ways, a natural pick to attend the Taliban’s negotiations with Iran. After the Taliban slaughtered eight Iranian diplomats in Mazar-e-Sharif in 1998, Mullah Omar appointed Khairkhwa to head the supposed investigation. Even though Khairkhwa was a military commander in Mazar-e-Sharif in 1997 and 1998, declassified documents produced at Guantanamo note that Omar wanted Khairkhwa to smooth over relations with the Iranians after the two nations nearly went to war. For that reason, Omar named Khairkhwa the governor of Herat province, which shares a border with Iran. Curiously, another member of the Taliban’s envoy to Iran in October 2001 was Abdul Manan Niazi. According to the court, Niazi is a “former Taliban military commander and Governor of Kabul, who had personally overseen the massacre of thousands of Shiites” in Mazar-e-Sharif in 1998. Khairkhwa was captured at Niazi’s residence in Chaman, Pakistan in 2002. Still another member of the Taliban’s delegation was Qari Tahair, who “had previously worked with the Iranians.” The court did not provide any other details about Tahair’s relationship with Iran. In connection with these efforts, Hekmat Karzai was introduced as an expert witness during the habeas proceeding. Hekmat is the cousin of Hamid Karzai and the Director of the Centre for Conflict and Peace Studies in Kabul. Hekmat also testified that Khairkhwa has “absolutely no military background.” Hekmat based his argument primarily on interviews he conducted with two of Khairkhwa’s former Taliban colleagues, both of whom are also seeking his release. One of the two is Wakil Ahmed Muttawakil, the Taliban’s former foreign minister, who works for Hekmat’s organization and has played a leading role in reconciliation efforts. Muttawakil testified that Khairkhwa was merely a “civilian administrator” during the Taliban’s reign. The court did not agree with Hekmat or Muttawakil, finding that Khairkhwa, based on his own admissions and other voluminous evidence, had waged jihad since the 1980s and compiled an extensive dossier of militant activities. Khairkhwa himself claimed during the proceedings that he had reached out to Hamid Karzai to surrender. But the court did not buy his argument, noting that Khairkhwa did not turn himself in, but instead retreated with Taliban forces to Pakistan. The US military and intelligence officials at Guantanamo who investigated Khairkhwa would undoubtedly disagree with Hekmat Karzai’s assessment, just as the district court did. According to a leaked Joint Task Force Guantanamo (JTF-GTMO) threat assessment, dated March 6, 2008, Khairkhwa was deemed a “high” threat to the US and its allies. JTF-GTMO recommended that the Department of Defense retain Khairkhwa in custody. Another source, described as a “reliable contact,” reported that bin Laden named Khairkhwa “as a Taliban representative to a joint delegation in March 2001.” The delegation tried “to drive a wedge between the Northern Alliance and its leader, Ahmad Shah Masoud.” Obviously, this effort failed. JTF-GTMO concluded that Khairkhwa and “his deputy were probably associated with a militant training camp in Herat operated by deceased” al Qaeda in Iraq commander Abu Musab al Zarqawi. Thus far, despite the peace council’s request, American officials have not transferred Khairkhwa to Afghanistan to participate in reconciliation efforts. Khairkhwa,it could the judge may indeed be right. So why does Hekmat lie? Is he just ignorant or is he being duplicitous in some scheme? These guys can not be trusted. This includes Hamid Karzai. They lie, They double deal, they have no honor. Kulamarva, you will not see U.S contact with Iran until there is regime change. Iran continues to fund and supply Iraqi Shiite militias as well as some parts of the Taliban. They have a considerable amount of American blood on their hands. Not to mention the fact that they are likely developing nuclear weapons. Any deal made with Iran should be considered a deal with the devil. We dealt with a devil named Joseph Stalin during WWII, a devil named Hirohito immediately after WWII and a devil name Mao Ze Dong during the Cold War. The number of victims of these devils including, in Mao and Hirohito’s cases, tens of thousands or more of U.S. soldiers, puts anything the leaders of Iran could even dream of to shame. If it serves U.S. interests to deal with the leaders of Iran we will do so, just as surely as we will not hesitate to napalm innocents if it serves it as well.